While I am unsure whether it is called the 'National Walkout Day," as highlighted by Twitter, or the "EnoughIsEnoughDMV," that minority leader Nancy Pelosi called it, or the "National School Walkout," as the New York Times calls it, but on March 14, 2018, many students across America decided to walk out of school to be used as political props for gun-grabbing Democratic politicians that flanked them. Ok, so that was a little snarky, but come on folks, they cannot even converge on one name for the event, yet vocal Parkland students, with the help of anti-gun groups like EveryTown, Move On, funded by gun-grabbing proponents like George Soros and Michael Bloomberg, are protesting gun violence, demanding that weapons be banned, regulations be placed on gun owners, age limits be raised, and whatever else they can think of to violate Americans' Second Amendment rights. Somehow in their young minds, walking out of school for a day, will somehow magically get all their demands passed through Congress. On the other side of the coin, we have another Parkland student that has been making the rounds through Congress, not sponsored by any groups, talking with congressional members of both sides of the aisle about school safety and mental health issues, while publicly standing up for the constitution, and learning about how to get bi-partisan bills passed through Congress to address school safety. To highlight the differences between two very different groups of students, we'll use one small example from March 14, 2018, between Kyle Kashuv, a respectful young man that has spent considerable time meeting with members of Congress, the First Lady and visited with President Trump to discuss school safety, and another Parkland student Cameron Kasky, a kid heavily promoted by the media and Democratic politicians for his gun control demands. Kyle shared images of his meeting with Representative Steve Scalise, who was shot while congressional members were practicing baseball back in June 2017, where Kyle stated "The fact that WHIP @SteveScalise has gone through everything he has and is STILL a major #2A supporters should show to everyone, even gun control advocates, that the constitution is not a document we should desecrate. 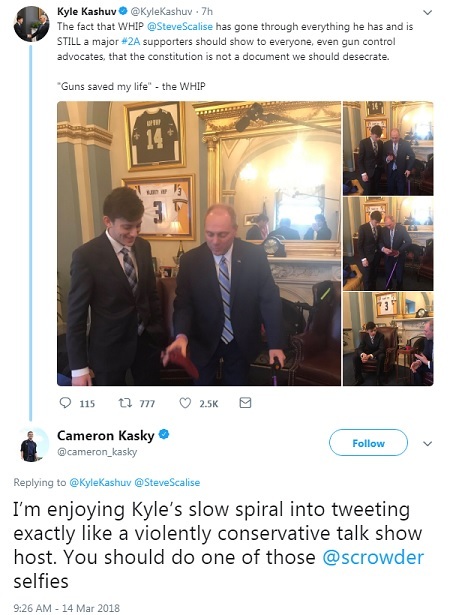 "Guns saved my life" - the WHIP"
Kyle has posted images of himself with every member of congress he has met with so far as he tries to learn how Congress works, about the proposed bills, specifically bills that have bi-partisan support, yet to the Scalise post, Cameron Kasky decided to respond to him by saying "I’m enjoying Kyle’s slow spiral into tweeting exactly like a violently conservative talk show host. You should do one of those @scrowder selfies." Kyle is also developing an app called Reach Out designed to help students struggling emotionally or bullied students to get help. 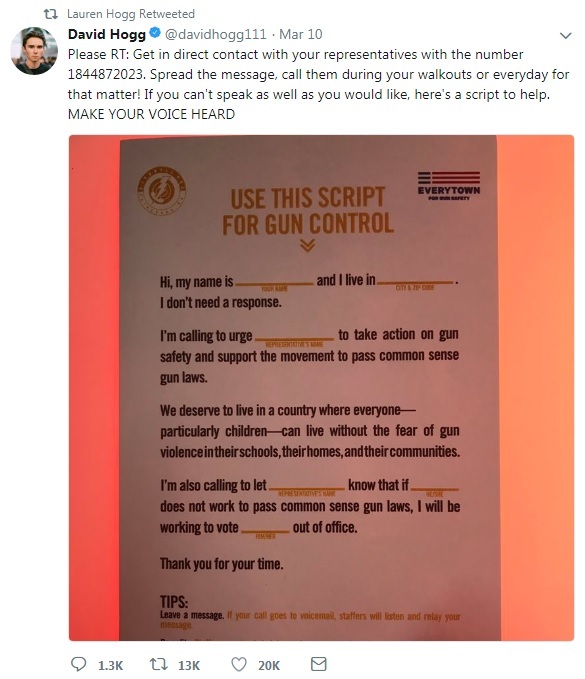 I highlight these two students because they stand on opposite ends of issues politically, but they are also representative of the type of attitude being seen across the country, where anyone attempting to work towards school safety without stepping all over the constitutional rights guaranteed to Americans are being attacked on a daily basis, with the Parkland gun control activists students literally passing around scripted messages titled "USE THIS SCRIPT FOR GUN CONTROL" by Everytown, calling NRA members baby killers, attacking other students who aren't pushing for gun control. It appears the gun control organizations that are supporting, organizing and coaching these youth gun control activists are also teaching them how to be, snotty and disrespectful. After having observed the behavior of many of the most vocal from Parkland, such as David Hogg, his sister Lauren, Emma Gonzalez and Cameron Kasky, the disdain and downright nasty vitriol they spew towards anyone that disagrees with them while consistently attacking NRA spokeswoman Dana Loesch, and then comparing it to how respectful Kyle Kashuv tries to be, even when debating someone that disagrees with him, it is like sunshine versus darkness the contrast is so stark. Kyle is not the only student across America that seems to think walking out of school for 17 minutes is far less helpful than actually working toward school safety and the Daily Wire has been receiving letters from other high school students who are saying they have felt pressured to participate, and wondering why the media is only covering those pushing for gun control. 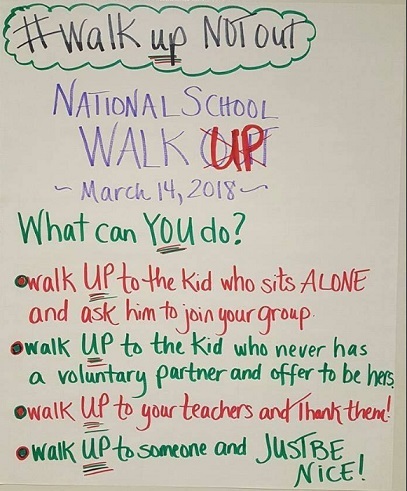 Other students think that it should not have been a "walk out" day on March 14, but should have been a "walk up" effort, with signs like the one below, which shows ideas that truly could make a difference. Seems more helpful than walking out of school for 17 minutes. 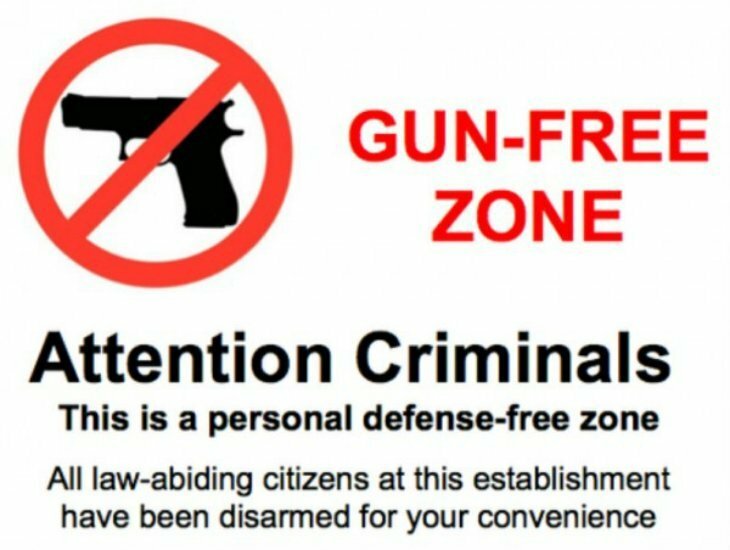 Getting rid of gun-free zones might be helpful as well. Nothing says "sitting duck" like a big sign informing a killer that no one in the building is prepared to protect the students. Joel Pollak over at Breitbart highlights the five lies the media is telling about this "walkout": Lie #1: The “walkout” is being staged by students; Lie #2: The “walkout” is voluntary; Lie #3: The “walkout” is not about gun control; Lie #4: The “walkout” is non-partisan; Lie #5: If you oppose the “walkout,” you support violence against children." To be clear, while the students are being used as political pawns and puppets, mimicking liberal gun-grabbers, the amount of gun-grabbing Democratic politicians speaking at these events, makes it very clear this isn't about the children that died during the Parkland high school shooting, nor about school safety, it is all about using a tragedy to push for gun control. 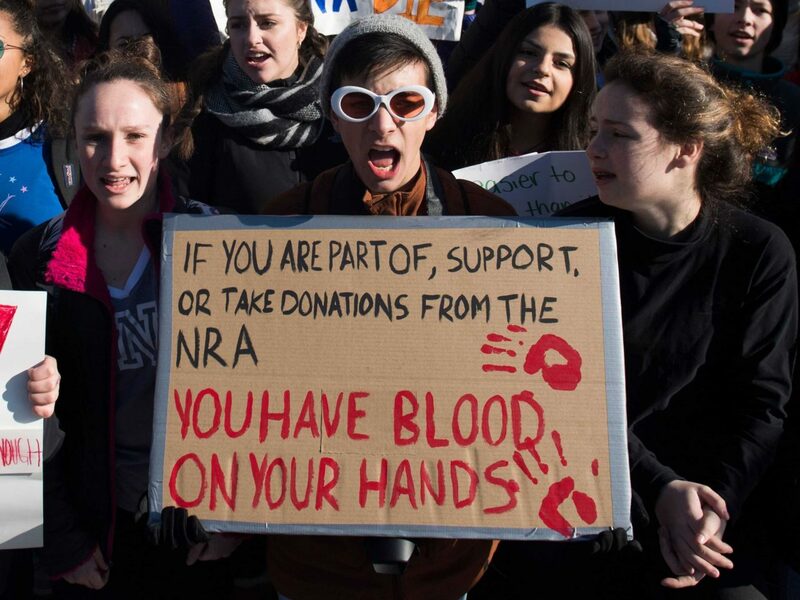 While the students that walked out of school on Wednesday and the politicians that flanked them all neglected to mention while they were holding their signs calling for the NRA to be abolished and telling that anyone that is a member of, or supports the NRA, "You have blood on your hands," is that failures on the part of local, state and the federal government, all of which had received multiple tips and warnings that the alleged shooter was planning a school shooting, are responsible for the deaths of 17 innocent people. The NRA, wasn't anywhere near Marjory Stonemason Douglas High School in Parkland, Florida, on Valentine's Day when the murders occurred, but they have donated over $7 million to schools in recent years, and set up the National School Sheild Program to provide grants to schools. While the media was busying with wall-to-wall coverage of the walkout, Senator Grassley, Chairman of the Senate Judiciary Committee, was ripping into the failures on the part of the Broward County Sheriff's office as well and the FBI, both of which could have prevented this tragedy. Grassley also notes that Broward County Sheriff Scott Israel was invited to the oversight hearing and refused to attend. Senate Judiciary Committee Chairman Chuck Grassley (R-Iowa) blasted a pair of Florida officials on Wednesday for refusing to appear before the committee for its hearing on school safety and gun control measures. The panel had called on Broward County Sheriff Scott Israel and Michael Carroll, the secretary of Florida’s Department of Children and Families, to appear for the hearing held following the deadly school shooting in Parkland, Fla., last month. “By thumbing their noses at Congress, Sheriff Israel and Secretary Carroll have let the American people down and also the citizens of Florida they serve,” Grassley said. Grassley said it was disappointing Israel refused to speak before Congress, given the sheriff's appearance on television in the weeks after the Feb. 14 shooting to discuss the tragedy.